Just 30 secs from "Las Ramblas"!! Sleep Green was created from the passion to minimize the impact of the hostel's operations on natural resources. The youth hostel was completely renovated with the goal of achieving the EU Ecolabel ("Flower-Label"). We are proud to be the first certified environmentally-friendly youth hostel in Barcelona and Catalonia and the first certified urban youth hostel in Spain. 100% of the energy consumed at the hostel is from renewable sources. 99% of the lights bulbs are LED. All water taps and shower heads are water saving push taps. Sleep Green has facilities to make recycling easy. At Sleep Green we only use biodegradable cleaning products and recycled paper. Sleep Green is small, friendly and located in Barcelona's beautiful neighbourhood Eixample. The location is unbeatable. Main tourist attractions like Plaça Catalunya, Las Ramblas, Passeig de Gracia with two of Gaudi's magnificent buildings and the old town are in walking distance to the hostel. There are 24hrs supermarkets, bars, restaurants, clubs, public transport (metro, bus, railway) all on our doorstep. The hostel has comfortable air-conditioned dormitories of only 4 to 6 beds. All rooms have a balcony and brand-new mattresses. The hostel is equipped with a guest kitchen to cook meals and have breakfast. Sleep Green provides FREE security lockers, FREE and fastest 100 mb internet and WIFI throughout the hostel. Luggage storage is FREE during the day. Plus: Laundry service. Daily cleaning service. 24 hours reception and security. Towel rental. We have 4 rooms of 4 or 5 beds mixed, 1 room of 6 beds. All have air conditioning/heating, wireless internet, and a balcony. Sleep Green is situated in the center of Barcelona. 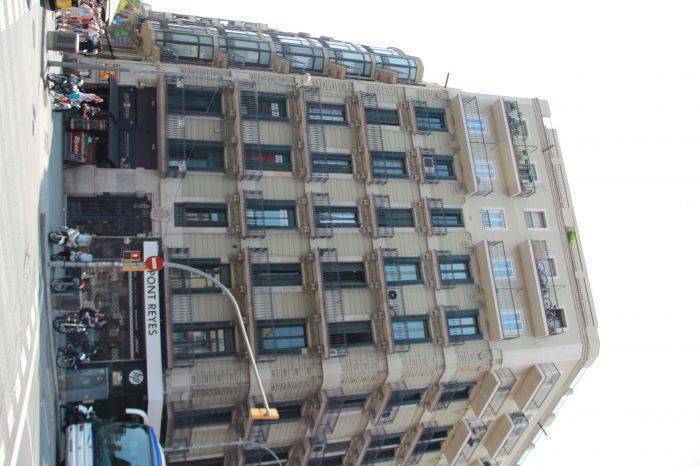 Public transportation, Las Ramblas, Paseo de Gracia, and the university are all a short walking distance from the hostel. Cancellation policy: If the booking is cancelled or modified up to 2 days before the DATE of arrival or in case of no show, 100% of the first two nights will be charged to the credit card. Please note: There is a 2% credit card surcharge for payments at the hostel. The city tax of 0,75€ per person, per night is not included in the price. Take the sky-blue AEROBUS that leaves from outside the terminal and get off at PLAZA UNIVERSITAT (second last stop). The aerobus leaves about every 10 minutes and takes about 25 minutes to the centre. From Plaza Universitat it’s a 2 minute walk to the hostel. Leave the bus, continue straight, cross the street, walk straight, take the first right into Calle Balmes. You will find us at the corner with Ronda Universitat. Take metro line 3 to “Catalunya” station. From there it’s a 2 minute walk to the hostel. Take exit Ronda Universitat. 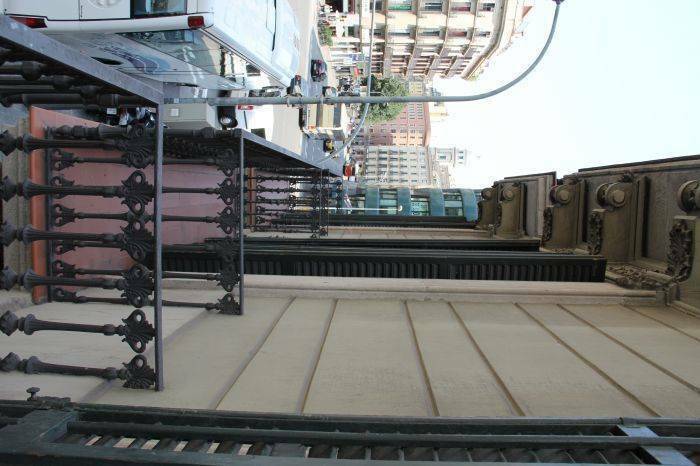 Walk 2 minutes to metro station “Arc de Triomf” and take metro line 1 to “Universitat” station. From there walk 2 minutes to the hostel. Take exit Ronda Universitat. All transportation (Railway, subway, bus station) are very close to our hostel.